With an estimated TV audience of between 500 and 600 million people around the globe, The Grand National is one of the top horse races in the world. In the U.K., more people have a bet than with any other race, making it a national institution. But just what is it about this iconic steeplechase that makes it stand out from the rest of the racing calendar? It is not the oldest race in Britain — all the so-called Classics, including the St Ledger, The Derby, The Oaks and the 1,000 and 2,000 Guineas, are all older. Nor is it the richest, with the Derby’s £1.5 million ($2.1 million) dwarfing the National’s £1-million ($1.4 million) prize pot. 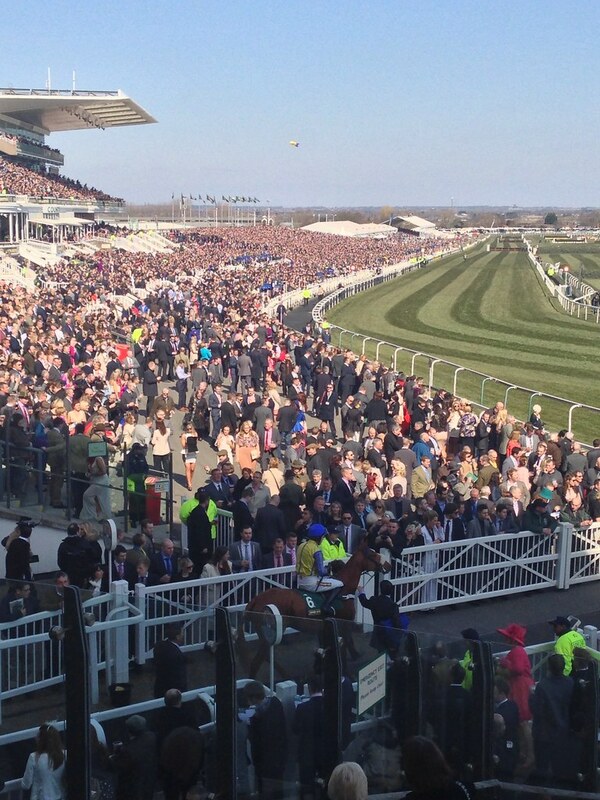 For many people, it is the sheer scale and spectacle of The Grand National that attracts their interest. At 4 miles 514 yards, it is a real test of stamina, and just getting around is an achievement. Add in a cavalry charge of 40 horses tackling 30 towering fences, including the 5’2” Chair, the 5’5” Valentines and the 5’8” Beecher’s Brook, and it’s easy to see why the highest number of finishers on record is as low as 23. Of all the British horseraces, the history of The Grand National has the most excitement and romance attached to it, and over the years it has had countless legends. Red Rum, the only horse to win the race three times, is now immortalized in bronze at the Aintree course near Liverpool while the story of Bob Champion, the jockey who fought back from cancer to win the race in 1981 on Aldaniti, was made into a major motion picture, “Champions,” starring the late John Hurt. The excitement and interest in the race are increased by the sheer randomness of it all in most years. This is a day that rarely goes according to the script, with the race won by the favorite or joint favorite just nine times in 70 starts — just 12.8 percent of races — and the favorite failing to even finish 37 times. The unpredictability creates some attractive Grand National odds, which might explain the high level of participation. What’s more, those long odds regularly come in, paying out big money for some punters. In 2009, Mon Mome romped home at a staggering 100-1, and just four years later, The Grand National was won by Auroras Encore at 66-1. Since 2011, the lowest winning price has been 14-1, making the race an attractive bet if you can pick the right horse. This year’s favorites include Blaklion, who was fourth last year, Cause Of Causes, last year’s runner-up and The Last Samuri, who came in second in 2016 along with Total Recall and Definitely Red. But then as discussed above, favoritism means little in such a wide open and testing race. A better value may be found each way betting a little further down the field, with the likes of Gold Present and double Scottish Grand National winner, Vicente, well worth a look. The 2018 Grand National takes place on Saturday, April 14th at 5:15 p.m. (GMT), with a full program of supporting races over three days at Aintree.